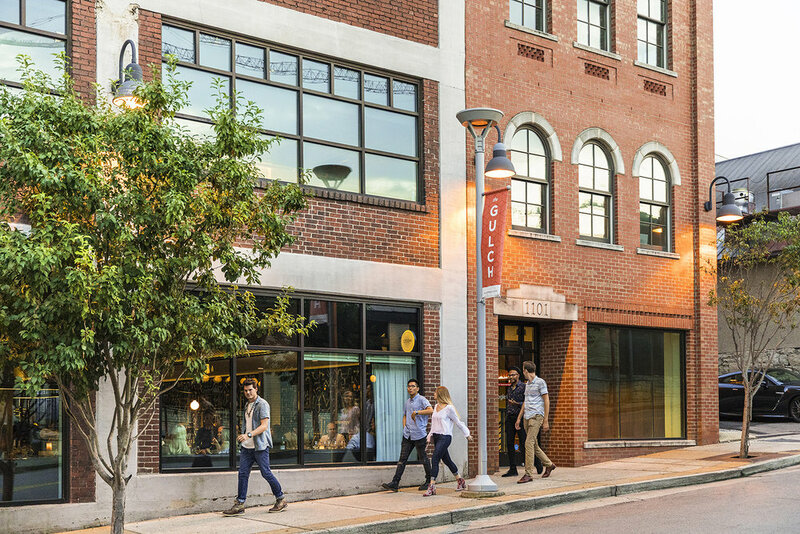 Gulch Union is a new Nashville commercial real estate development featuring office space, a boutique hotel, luxury residences, shops, and restaurants. Situated at the gateway to the Gulch, Gulch Union occupies a full block between 12th and 13th Avenues and McGavock and Demonbreun Streets. Its location between downtown Nashville and Music Row puts it at the center of the city’s business community and rich entertainment options, while staying clear of the traffic, noise, crowds, and other distractions. Gulch Union’s first phase is now underway with the construction of 1222 Demonbreun, a 20-story, Class AA building (pursuing LEED Silver certification) with 330,000 square feet of office and retail space. The Gulch. Vibrant, Connected, and Convenient. 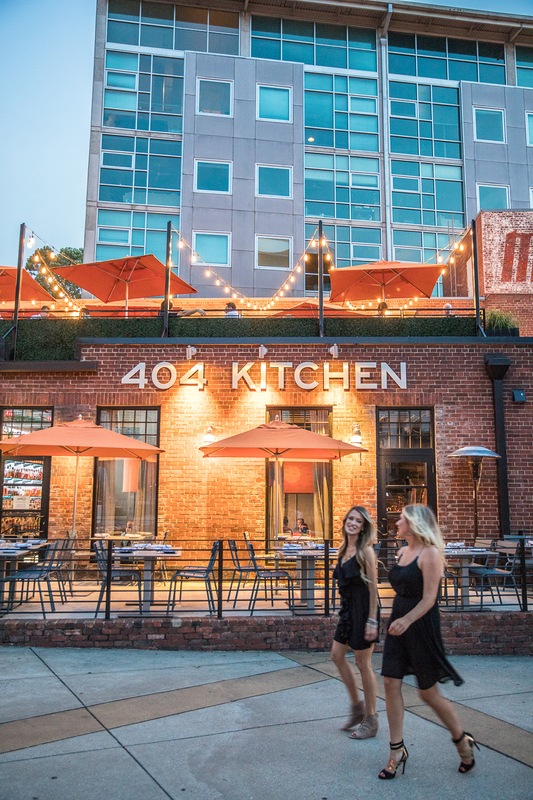 Gulch Union and 1222 Demonbreun are located in the Gulch, a dynamic neighborhood with a mix of restaurants, stores, and ammenities that make it one of Nashville’s most desirable zip codes. The location is within three blocks of more than 20 popular and diverse restaurants. A new Whole Foods Market—opening in 2019—is just two blocks away, and McGavock Street’s award-winning “M Street” restaurant cluster is right next door. The Gulch is walkable, highly connected, and fully served by public transportation. It is also home to the bike-friendly Gulch Greenway. 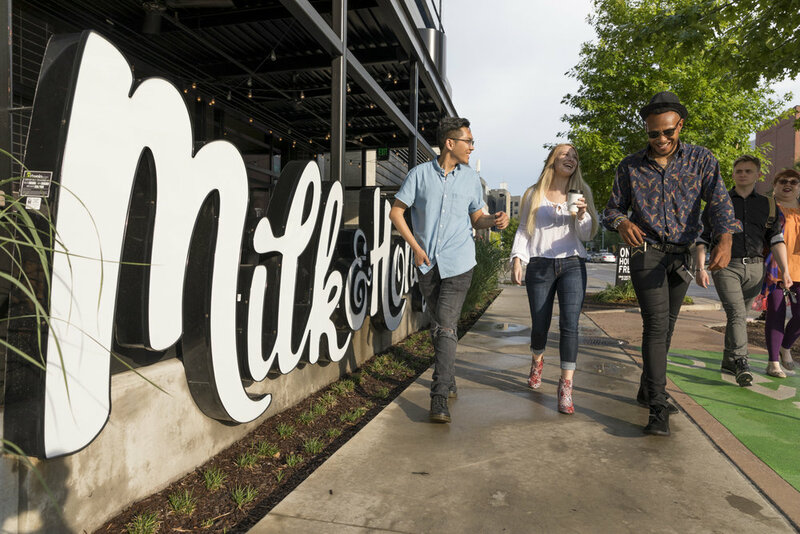 This emphasis on sustainability—along with its true mix of uses—helped the Gulch become the only urban district in the southern U.S. to achieve LEED certification for neighborhood development. 1222 Demonbreun. Inspiring a new way to work. Gulch Union's 1222 Demonbreun promises a new way to work at the gateway to downtown, combining the excitement and convenience of Nashville’s most desirable neighborhood with the prestige, amenities, and visibility of a modern high-rise office tower. It’s a combination perfectly crafted to enhance the creativity, productivity, and happiness of today’s most desired employees. High ceilings and flexible floorplates create light-filled spaces that are perfect for open, collaborative work styles. Full-height windows provide inspiring views of downtown Nashville and the bustling neighborhood below, while a direct connection to high-speed fiber infrastructure keeps the rest of the world close by. The building’s amenities include an indoor-outdoor sky lounge, a 50-seat training room, a fitness facility with showers and lockers, and a micro-market that provides round-the-clock access to snacks and other essentials. Designed for easy access, 1222 Demonbreun’s 910-car garage offers ingress and egress from Demonbreun, McGavock, and 13th Avenue. This flexibility makes it easy for tenants and visitors to reach the most convenient routes to and from the rest of the city. Both 1222 Demonbreun and the surrounding Gulch neighborhood have a commitment to sustainability. 1222 Demonbreun is pursuing LEED Silver certification from the United States Green Building Council. The Gulch was the first LEED ND-certified neighborhood in the southern U.S. and was the fourth neighborhood in the world to achieve LEED Silver status. A new landmark in the heart of the Gulch. Gulch Union will be a high-profile mixed-use landmark in Nashville's most dynamic neighborhood. 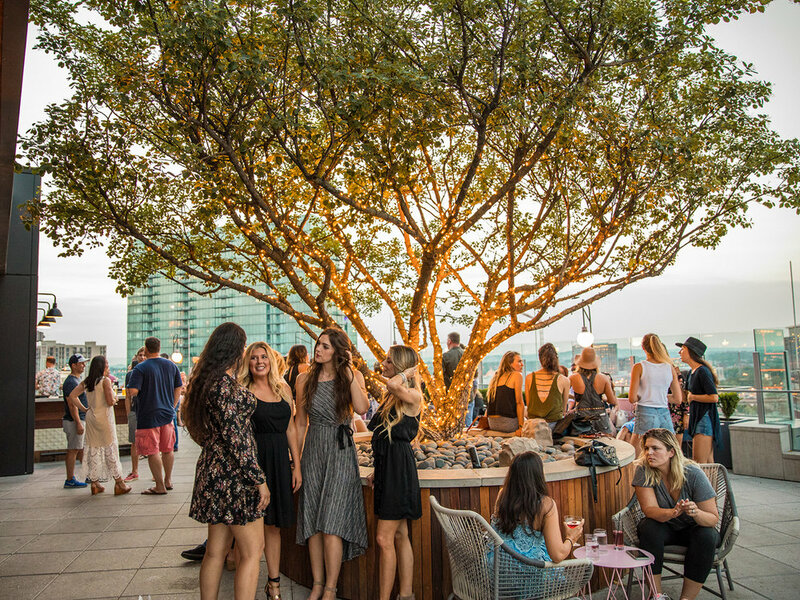 Following the completion of 1222 Demonbreun, future phases of the project will add a boutique hotel, luxury residential tower, shops, and restaurants, all connected by a podium with a lushly landscaped rooftop amenity deck. These additions will expand the extensive living, dining, and entertainment options already available to professionals working at 1222 Demonbreun and in the surrounding neighborhood.